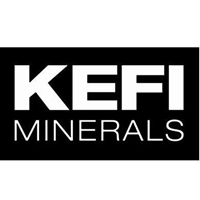 The share price for KEFI Minerals plc ticker code: LON:KEFI has stepped up 4.58% or 0.08 points during today’s session so far. Traders have remained positive while the stock has been in play. The period high was 1.88 dropping as low as 1.76. Volume total for shares traded at this point reached 560,857 with the average number of shares traded daily being 10,618,763. The 52 week high price for the shares is 5 which is 3.2 points in difference on the previous days close and a 52 week low being 1.51 a difference of some 0.29 points. KEFI Minerals plc now has a 20 simple moving average of 2.1 and now a 50 day simple moving average now of 2.12. The current market cap is £9.93m at the time of this report. The share price is in GBX. Mcap is measured in GBP. This article was written with the last trade for KEFI Minerals plc being recorded at Monday, October 15, 2018 at 8:17:57 AM GMT with the stock price trading at 1.88 GBX. Shares of GlaxoSmithKline plc with ticker code: LON:GSK has risen 1.2% or 17.2 points during today’s session so far. Investors have stayed positive during this period. The periods high has already touched 1452.6 and hitting a low of 1428.6. The total volume of shares exchanged through this period comes to 1,747,419 whilst the daily average number of shares exchanged is just 8,143,178. A 52 week high for the stock is 1631.13 around 201.73 points difference from the previous close and the 52 week low at 1179.39 making a difference of 250.01 points. GlaxoSmithKline plc now has a 20 moving average of 1520.88 and a 50 day moving average now at 1555.98. The market capitalisation is now £71,358.98m at the time of this report. All share prices mentioned for this stock are traded in GBX. Mcap is measured in GBP. 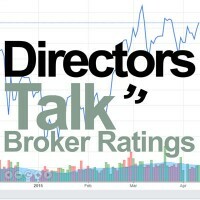 This article was written with the last trade for GlaxoSmithKline plc being recorded at Monday, October 15, 2018 at 12:26:00 PM GMT with the stock price trading at 1446.6 GBX. Shares of AstraZeneca plc ticker code: LON:AZN has stepped up 1.05% or 58 points during today’s session so far. Investors have stayed positive throughout the trading session. The high for the period has peaked at 5623 while the low for the session was 5518. The total volume of shares traded by this point was 423,903 whilst the daily average number of shares exchanged is just 2,300,902. A 52 week share price high is 6126.4 which comes in at 580.4 points different to the previous business close and a 52 week low sitting at 4544.5 making a difference of 1001.5 points. AstraZeneca plc now has a 20 SMA of 5822.7 and now the 50 day SMA of 5873.59. This puts the market capitalisation now at £70,618.37m at the time of this report. The stock is traded in GBX. Mcap is measured in GBP. This article was written with the last trade for AstraZeneca plc being recorded at Monday, October 15, 2018 at 12:26:00 PM GMT with the stock price trading at 5604 GBX. Stock in Hardide Plc with company EPIC: LON:HDD has moved up 5.33% or 0.08 points during today’s session so far. Investors have stayed positive during this period. The period high was 1.58 and a low of 1.41. The amount of shares exchanged has so far reached 40,508 with the daily average traded share volume around 510,111. The 52 week high for the share price is 2.3 equating to 0.8 points difference from the previous days close and the 52 week low at 1.41 making a difference of 0.09 points. Hardide Plc now has a 20 SMA at 1.8 with a 50 day moving average now of 1.88. Market capitalisation for the company is £21.18m at the time of this report. The currency for this stock is Great British pence.Market cap is measured in GBP. This article was written with the last trade for Hardide Plc being recorded at Monday, October 15, 2018 at 11:04:08 AM GMT with the stock price trading at 1.58 GBX. The stock price for Imperial Brands PLC with EPIC code: LON:IMB has increased 1.18% or 29.63 points throughout the session so far. Market buyers have remained optimistic throughout the trading session. The period high has peaked at 2573 dropping as low as 2529.5. The total volume of shares exchanged so far has reached 437,456 with the daily average at 2,624,042. The 52 week high is 3204.5 equating to 688 points different to the previous business close and a 52 week low sitting at 2298 is a variance of 218.5 points. Imperial Brands PLC now has a 20 moving average of 2670.68 and also a 50 day moving average now of 2779.58. The market capitalisation currently stands at £23,978.47m at the time of this report. Share price is traded in GBX. Mcap is measured in GBP. This article was written with the last trade for Imperial Brands PLC being recorded at Monday, October 15, 2018 at 12:24:25 PM GMT with the stock price trading at 2546.13 GBX. Click AZN GSK HDD IMB KEFI for the full archive.